We stock Bridge rectifiers. 2510/3510, KBL06/10, G8BU, RL. Types: Square shaped pin up, Square shaped Solder lead, Single Line, Bridge Modules. 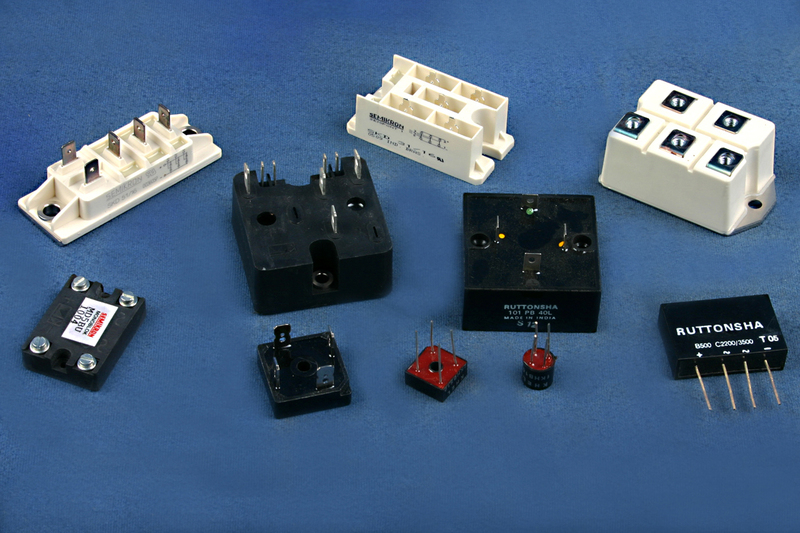 We provide our clients with high quality electrical devices called Bridge Rectifier. Rectifier is a term used for describing a diode that is being used to convert AC to DC,these are used for the conversion of alternating current (AC) to direct current (DC). Number of diodes are arranged in these rectifiers for effective conversion of AC to DC. These rectification devices are used as Components of power supplies, Detectors of radio signals. They are available from minimum current capacity of 1A.